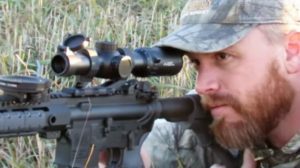 A 22LR (or 22 Long Rifle) scope is an ideal choice for short and mid-range shooting as well as varmint hunting because one of its best abilities is hitting small targets. It can shoot within the 50-yard range with less than 1-inch bullet drop. Nowadays, it has become a favorite choice due to its various benefits: simplicity, effectiveness, inexpensive bullets, and low recoil. Have you made up your choice yet? If not, let me guide you through the best 22LR scopes list and detailed reviews of each product. 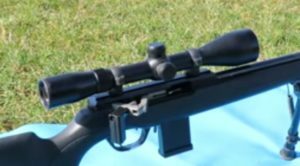 How To Choose The Best Scope For 22LR? What is the best scope for 22LR? Choosing the best 22LR scopes has never been easy! I will point out some of the main criteria you need to consider carefully before buying. 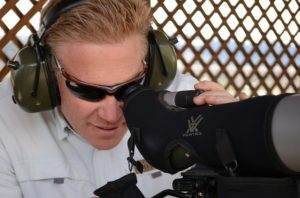 Considering the magnification of the scope is essential because it reflects the ratio between the size of the real object and the size of the image. The magnification above 16x does not seem suitable for a 22LR scope. Instead, I suggest you should choose the 2x – 7x or 3x – 9x magnification. In theory, the lens with a larger size can produce a high-quality picture. However, a lens above 42mm will add extra weight to your scope. But do not choose a scope below 32mm either if you do not want the quality of the picture to go down. You also need to care about the lens quality to ensure the optics have a high level of brightness & transparency. Some people buy a scope without bothering about its technology, resulting in distorted image quality and unclear view. It is an optional feature, allowing you to adapt the parallax to hit small targets easily. The purpose of AO is to improve precision. An adjustable parallax will enhance accuracy at different shooting ranges and bring clearer and sharper images. 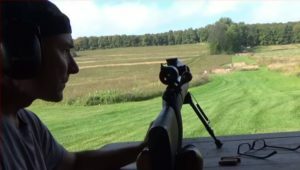 Because the 22LR caliber is specifically for close range shooting, I recommend you should choose a scope with a parallax setting under 100 yards. 50 and 75 yards are also excellent options. The focusing system must be quick so that you will not miss a single motion. You can see how important it is! A good scope is dependent on the capacity of its mechanism. Make sure that you read the product information carefully or consult an expert if necessary. Another thing you need to concern. You have to check if the accuracy goes down at a higher magnification or not. 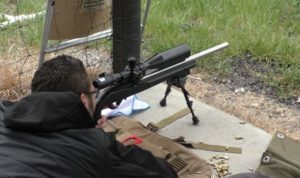 To choose a good scope with a high level of accuracy, you can take a piece of advice from an expert or consult my pick of best 22LR scopes for target shooting below. If you intend to hunt fast-moving varmints or move a lot, choosing a lightweight and compact scope will be a priority. In contrast, carrying a heavy optic can result in the difficulty of handling and movement. 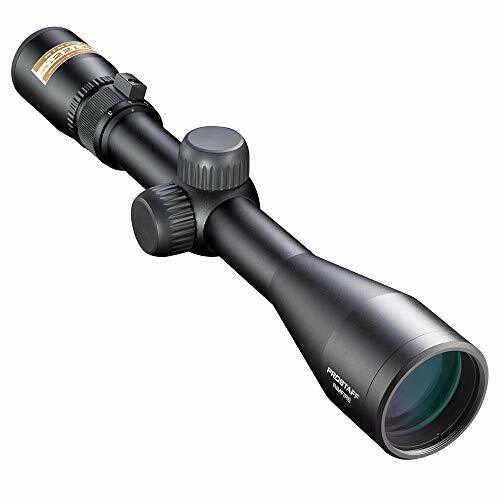 After comparing the pros and cons of each scope, I will choose the Vortex Optics Crossfire II Second Focal Plane Riflescope 2-7×32 Rimfire V-Plex MOA Riflescope as the top product of this list. Besides the outstanding optical clarity, the scope features the V-Plex Reticle and resettable MOA turrets, boosting your shooting performance. Everybody wants to use a product for a long time. 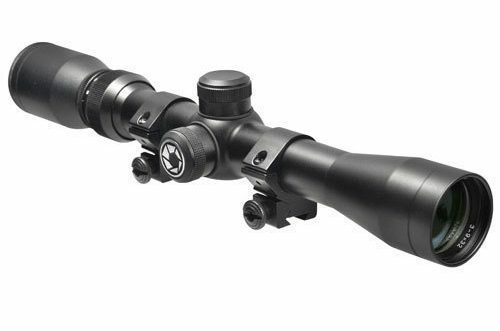 The high-quality aircraft grade aluminum material and AmorTek coatings help to improve the durability of the scope. The lens is fully multi-coated with multiple anti-reflective coatings, which helps to maximize light transmission, eliminate glare and provide bright images with high contrast. It can function well in low light conditions. The 3.9-inch eye relief and the impressive field of view (12.6 – 42 feet/100 yards) are also plus points. 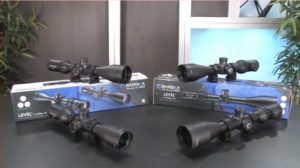 The magnification of it is not as powerful as those of other models (2x – 7x), but it is still suitable for the capability of a 22 scope that is hitting small targets. The turret with a capped style will give your precise and quick control for elevation and windage adjustments. The scope also can hold zero easily. 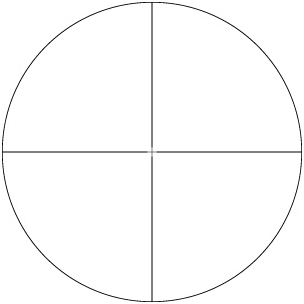 Another outstanding feature is the functional and intuitive V-Plex Reticle (MOA), which is an all-purpose reticle meeting most of your hunting activities and ensuring accuracy. The Second Focal Plane reticles located near the eyepiece keep the image at a stable size even when you change the magnification. However, the accuracy seems to fall after 50 yards. But it is not a problem if you do not need shooting over long distances. Q1: What is the maximum range of a 22LR scope? According to my observation, a 22 LR bullet is effective in a range from 100 to 150 yards. Beyond that range, compensating for the large bullet drop is difficult. Q2: Should I consider the accessories involved? Of course. 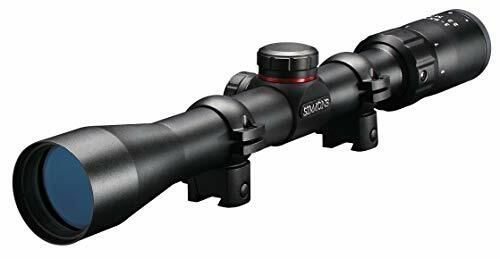 The useful accessories will enhance the quality of the scope and the hunting session as well. 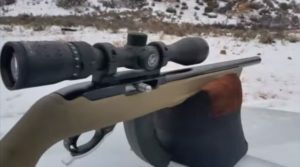 So, make sure you check all the accessories besides lenses, reticle, and knobs carefully when you buy a scope. Q3: What should I concern about the internal adjustments? A 60 MOA internal adjustment will be suitable because when using a 22LR scope, you do not need to manage the bullet drop in a massive range. Q4: What are the advantages of using a 22LR scope? 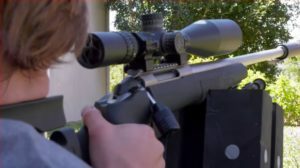 The rifle scope is lightweight to carry and also detachable. It offers clear visibility and the ability to aim at the target precisely and quickly. Q5: Should newcomers use a 22LR scope? If you are new to shooting, a 22LR scope is entirely for you! It is simple to use and does not require several high-end features. So, start your training right away! 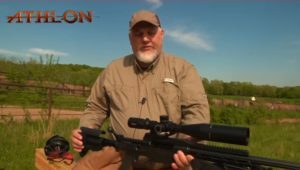 Now you have gone through the list of five best scopes for 22LR in my opinion. I guess you will have no difficulty in choosing the good one anymore. I wish you would choose the right scope and have fun when hunting. 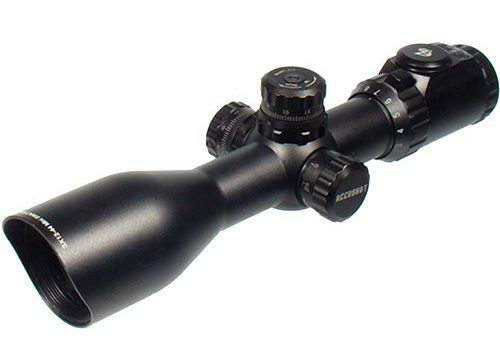 If you are still overwhelmed and do not know what to choose, Vortex Optics Crossfire II Second Focal Plane Riflescope 2-7×32 Rimfire V-Plex MOA Riflescope will be ideal for you. If you know more about scopes, do not hesitate to share with us! scopeslife.com is a participant in the Amazon Services LLC Associates Program, an affiliate advertising program designed to provide a means for sites to earn advertising fees by advertising and linking to Amazon.com. Amazon, the Amazon logo, AmazonSupply, and the AmazonSupply logo are trademarks of Amazon.com, Inc. or its affiliates. Additionally, scopeslife.com participates in various other affiliate programs, and we sometimes get a commission through purchases made through our links.